Everlands is a new global club focused on conserving the environment as well as providing exceptional outdoor experiences for members. "Everlands is structured similar to an equity country club on a global basis where the members are owners, and because of its conservation ethos, the model of stewardship through ownership is fundamental. This differs dramatically from traditional models of fractional real estate and destination clubs," says Everlands spokesperson, Helen Patrikis. For Everlands it is all about conservation. Members will invest not only in historic properties and memorable outdoor escapes, but also in a global conservation effort. A portion of each membership fee helps to fund the Everlands Conservation Foundation. "Our vision in creating Everlands was to bring together a global community of likeminded individuals who share a love of people and family and a passion for nature and the great outdoors, defined by a desire to preserve and protect it," says Bob Burch, Everlands Co-Founder and Chairman. "Everlanders have the opportunity to experience the world's most magnificent destinations while preserving them for future generations." The concept for Everlands has attracted prominent business partners who fully back the club's objectives, including: Lehman Brothers, Zaha Hadid, Dr. Richard Leakey and Trout Unlimited. Everlands plans on acquiring a total of 45 properties in three phases. Each location is carefully selected for its significance in history, as well as what it has to offer outdoor enthusiasts. All locations offer intimate accommodations (typically 10 to 15 rooms) where members can interact and enjoy Everlands' experiences together. "Each property is selected because it is the best of its kind. It is very important to us that each property is authentic and we are not replicating the same experience in every location," says James Millership, Everlands Co-Founder. "The criteria are that the property must have a great history, provide an intimate gathering point for members, have world-class outdoors experiences - whether that be fly fishing, hiking, horseback riding, boating, or skiing - and is conservation-worthy in some regard." 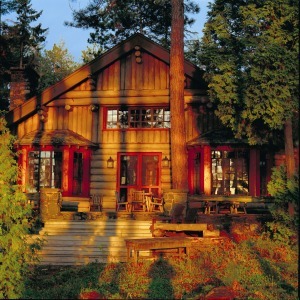 Phase one's primary property is the Point, former Rockefeller estate on Saranac Lake in New York's Adirondacks. Also included in the initial phase is Lone Mountain Ranch in the Rocky Mountains of Montana, located near Yellowstone National Park and Gallatin National Forest; and a health and wellness retreat, Castle Hot Springs in Arizona. Additional properties are Lake Rotoroa Lodge in New Zealand; The Inn at Blueberry Hill on Martha's Vineyard, Massachusetts; Mangrove Cay Club in the Bahamas; and Bristol Bay Lodge in Alaska. As membership numbers grow, estates will be added to the property portfolio at one per every 40 members. Some of these destinations will include a country estate in Devon, England; a wild partridge habitat in central Spain; an Atlantic salmon property in Iceland; an estancia in Patagonia; and a game reserve in Kenya. Membership in Everlands is by invitation only. New members are recommended and referred to the club by current investors and members. The interview process is specific but simple. The membership team makes a point to meet every prospective member and ask about their level of interest in the out of doors and conservation. Everlands' initial goal to secure 20 founding investors has already been met. They have ended their special offer for founding investors and are concentrating on building membership numbers. They claim to be on track for securing 200 memberships by the end of 2008. Members have equity ownership of the properties, surrounding land, and any facilities or other assets included in the property acquisition. The club is wholly owned by its members, debt-free. One-time membership fees are $1 million. Club policy states that a 15 percent deposit is required at the time of commitment. This percentage will be returned with interest if initial membership goals are not achieved. Membership balances are due when the club reaches the 100 member mark. Annual dues are $40,000. There are no additional nightly fees for members. However, if members wish to invite additional family members and friends and need to book an additional room, they will be charged a nominal daily fee of $100 for every two additional family members; and $250 for two guests. This daily fee is all-inclusive for meals, lodging, excursions, etc. Although membership to Everlands is by invitation only, individuals who share the club's philosophy are encouraged to contact Everlands at www.everlandslife.com. Unlike luxury fractionals and destination clubs, Everlands does not allocate a certain amount of weeks or a set number of usage days for members. Members are not restricted to the amount of time they use the properties. Usage is allocated on a first-come, first-served basis. The maximum length of stay is subject to fluctuate from property to property. There are only a few stipulations on usage. For instance, multiple properties may not be booked simultaneously, and the same property may not be booked in advance for multiple occasions (members must use the property first before booking an additional visit to the same location). Since the Everlands club has been built on the precepts of protecting and preserving the environment, it would be an oversight not to mention the unique opportunity members of this club have to actively contribute to the cause. A percentage of all membership fees directly contribute to the Everlands Conservation Prize, a $1 million award given annually to one or more individuals around the world who stand out as innovators of conserving nature. Everlands' members have the privilege of playing a major role in every level of the award, including nominating and reviewing candidates and voting for the recipients. Another ultra luxury destination club, Ciel, recently announced it is changing to be more conservation oriented. Several new destination clubs have launched over the last year and are summarized in our year end review, although none offer the blend of conservation and ultra luxury that Everlands is providing.